Another manic week at work (with an even busier one next week!) 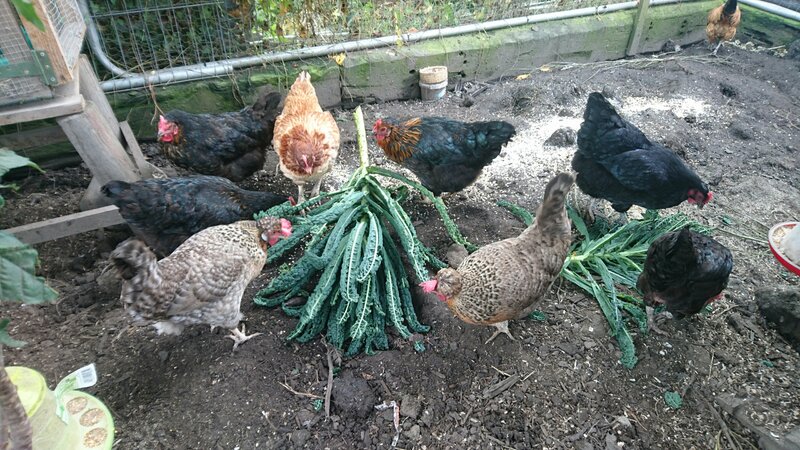 I dashed down to check on the chickens this morning. I was shouted at and roundly abused for not being quick enough to feed them. So nothing unusual! 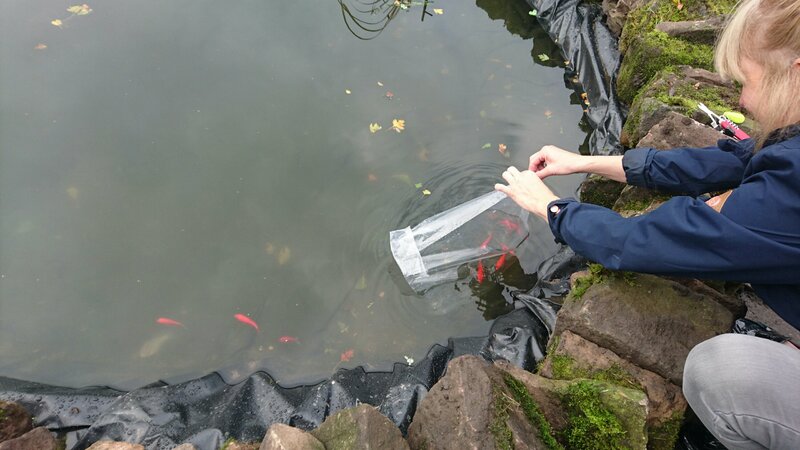 The community garden continues to be worked on – we now have 10 gold fish, a model heron to scare off birds, water lilies and other plants in the pond. 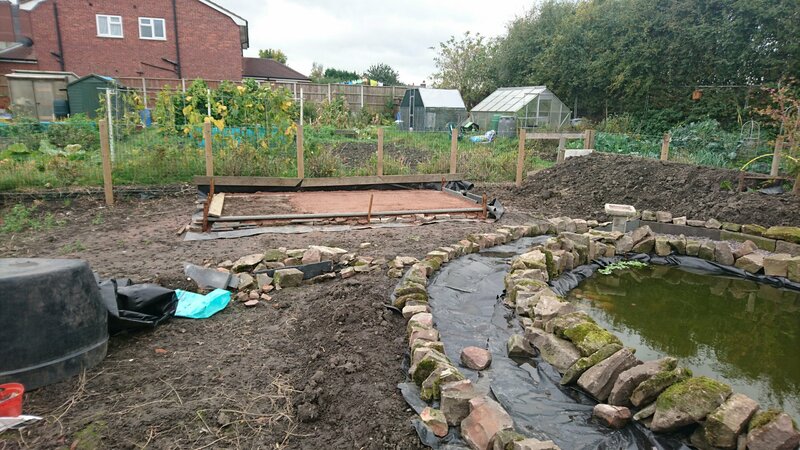 Mick has been working hard on creating a beautiful path around the pond with sandstone and slate as well as making a rock border out of sandstone blocks. It looks amazing! As of this week the Bee area has been started with a proper base prepared ready for large concrete slabs to be placed. The slabbed area will house three different hives ideally. The bank of soil behind the pond will form the basis of a wild flower garden to provide the bees with flowers next to their hives. There is some idea about having a pergola and a bbq area too. Watch this space!